Set of four figure studies. 6 1/2 x 61/2 inches. 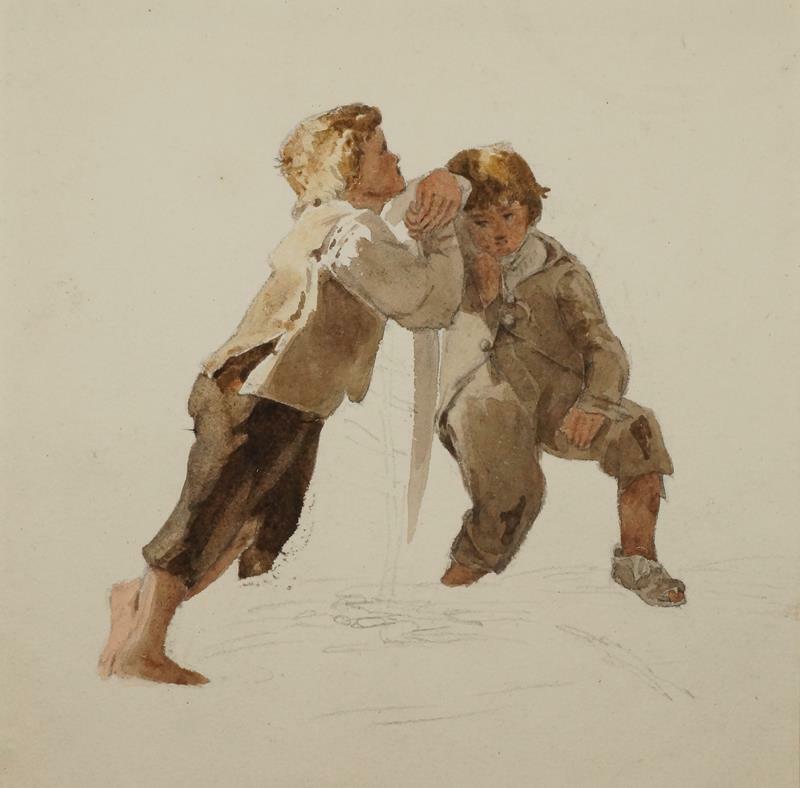 Joshua Cristall was an important member of the School of English Watercolours and is best known for his charming watercolour sketches of country folk, simply conceived and beautifully executed. The son of a Scottish sea captain and merchant and a Cornishwoman, Joshua Cristall was born in 1768 and brought up by the Thames in Rotherhithe. His father found him various jobs in the china trade however he was determined to become an artist and eventually succeeded, although he struggled financially. He was mostly self-taught although he did attend the Royal Academy Schools and by 1795 he was trying to support himself entirely by his painting. In 1802 he sketched in North Wales where he met the English watercolour painters John and Cornelius Varley and Thomas Webster. He was a founder member of the Old Watercolour Society in 1805 and was President of the Society in 1816, 119 and from 1821 to 1831. In 1823 he moved to Goodrich on the Wye where he lived until 1841 when he moved back to London where he focussed on portraiture. During his last years he was an active member of the Sketching Society. Collections: Many public collections including the Victoria and Albert Museum and British Museum.